There’s no denying that the South is home to some of America’s most outstanding cuisine. Try turning down a warm buttermilk biscuit, a platter of crispy fried chicken or a big ol’ bowl of shrimp and grits. We dare you. And while you can find all the above in Asheville, the city’s food scene has so much more to offer. 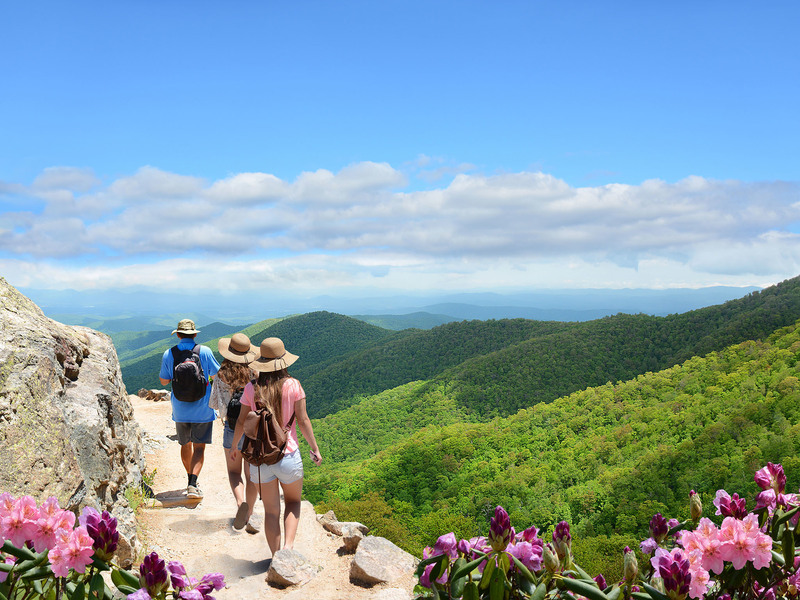 With a continuously growing population, an abundance of regional farms and a brewery scene like no other (one of many things to do in this North Carolina city), Asheville continues to evolve and serve as one of the South’s most exciting food cities. 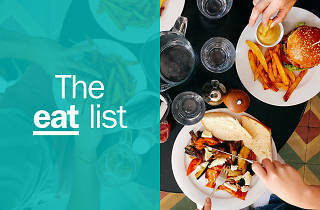 Now’s the time to plan a trip and check out these exciting eateries. What is it? It’s a happening Spanish tapas restaurant and bar housed in a 1927 bus depot (and a top drop-off point for Uber drivers in the area). Why go? 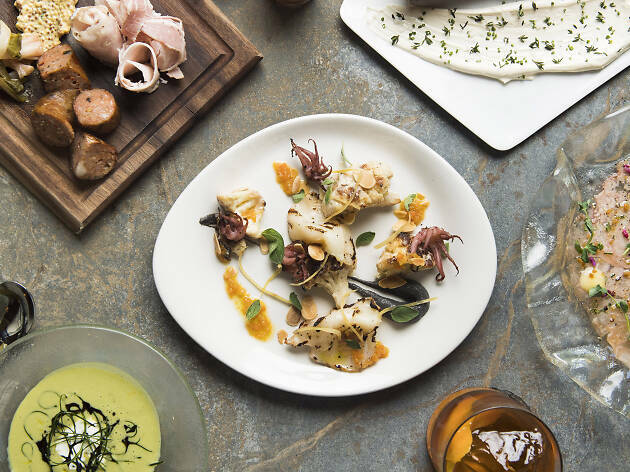 Chef Katie Button takes diners on an edible journey through prized Spanish small plates. With a literal translation of “cure yourself,” Cúrate will no doubt cure snack attack cravings with its hyped charcuterie bar. Think cured meats, Spanish cheeses and a sinful dessert list, with a cool, curated list of vermouth, sherry and cider on tap. The restaurant side offers more filling items like paella, sandwiches, grilled meats and fried delicacies. What is it? Quirky cocktails and inventive American fare in a well-lit space that resembles an old-school pharmacy. Why go? Go for the best cocktail creations in Asheville, but stay for the food. 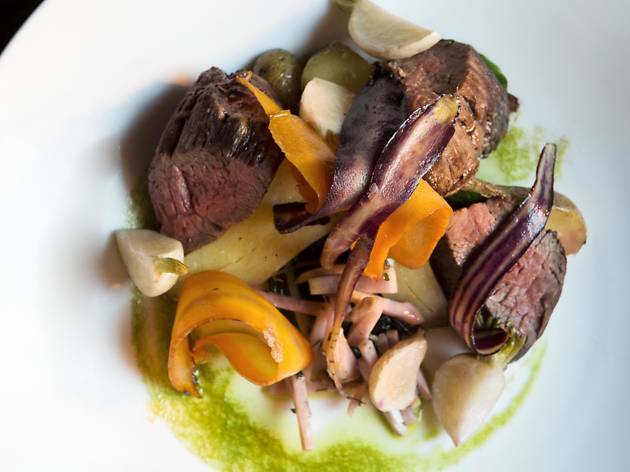 Chef Graham House has a way of reinventing the wheel by turning simple, locally sourced ingredients into edible pieces of art. Monday’s Recession-Proof Mixology (RPM) offers budget-friendly classic cocktails and a late-night food menu while Whisk(e)y Wednesdays showcase interesting libations with, you guessed it, whiskey. Brunch is an affair to remember, with classics like buttermilk waffles, steak and eggs and seasonal omelets. What is it? This rustic, chef-driven restaurant in the heart of downtown will satisfy even the pickiest vegetarian’s palate. Why go? 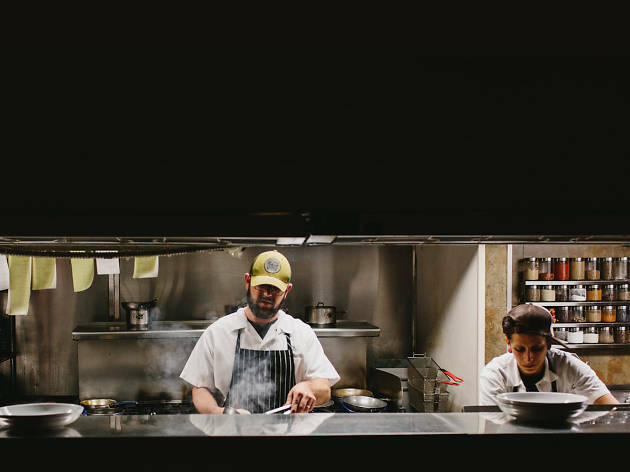 Chef John Fleer livened up the city’s dining scene with a menu of beautiful dishes that give diners a true sense of place, as he relies heavily on Buncombe County’s farms and purveyors for menu inspiration. 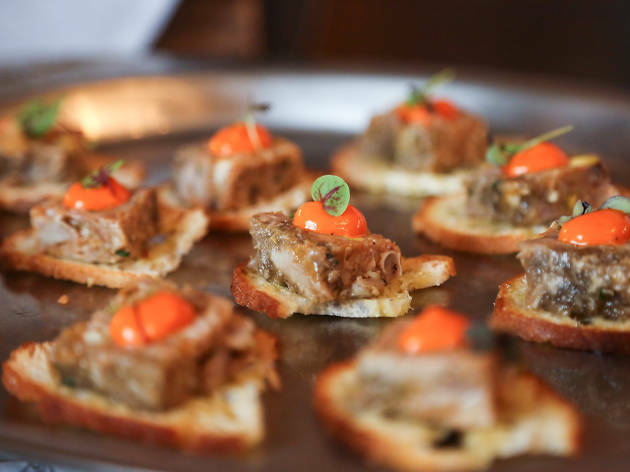 Expect to see a hefty list of North Carolina cheeses, an entire “eat your vegetables” section and Southern-inspired bites with a culinary twist. 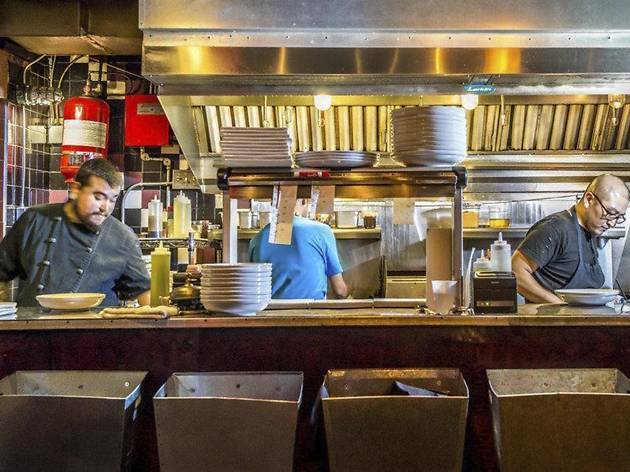 It’s wise to sit at the chef’s table, order a beer from the ever-changing beer list and glimpse into the open kitchen to view where the magic happens. What is it? A fine dining restaurant with dive bar vibes, situated in a cinderblock building. Why go? 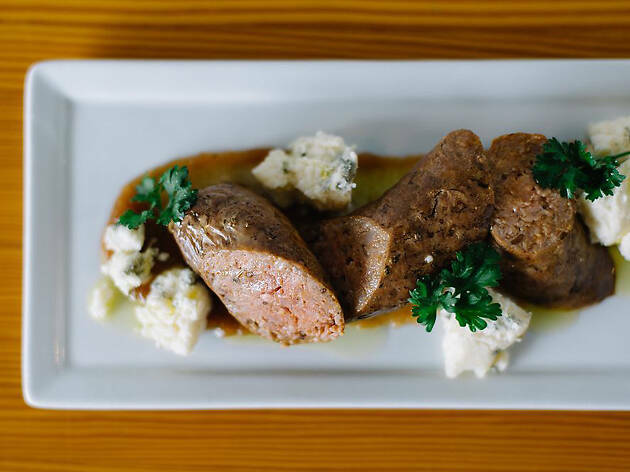 The West Asheville restaurant has been around for over a decade and continues to keep on the forefront of what diners want: delicious food. Its chill atmosphere, romantic lighting, minimalistic interior and a globally inspired ever-changing menu of small, is what draws in the crowd. An amped up wine list is just the cherry on top. What is it? A farm-to-table comfort food spot known for its breakfast service that will nurture a hangover. Why go? Family-owned and operated, this locale has folks cueing up in the mornings for a solid start to the day. 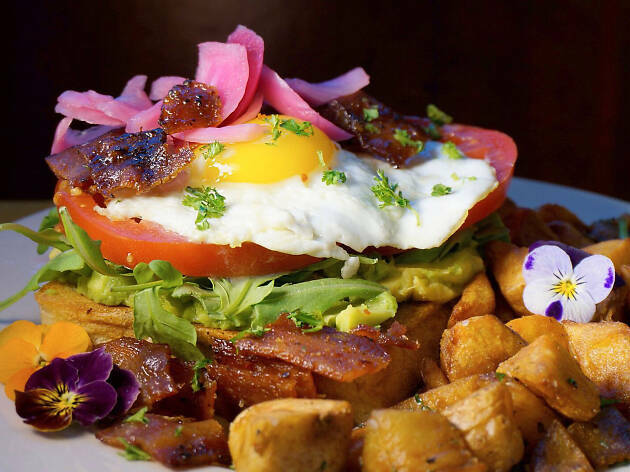 Cure a hangover with comfort food staples like shrimp and grits or the epic huevos rancheros alongside a 16-ounce Mega-Mosa (a giant mimosa), or keep it healthy with a breakfast salad (yes, this is a legit thing in these parts). If the wait is long, enjoy a cup of ethically-sourced coffee in the picturesque garden. What is it? 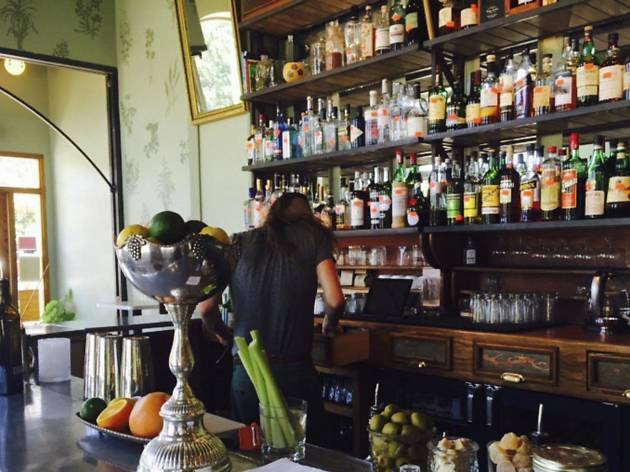 This hip international eatery inside a vintage gas station is a favorite of local chefs. Why go? 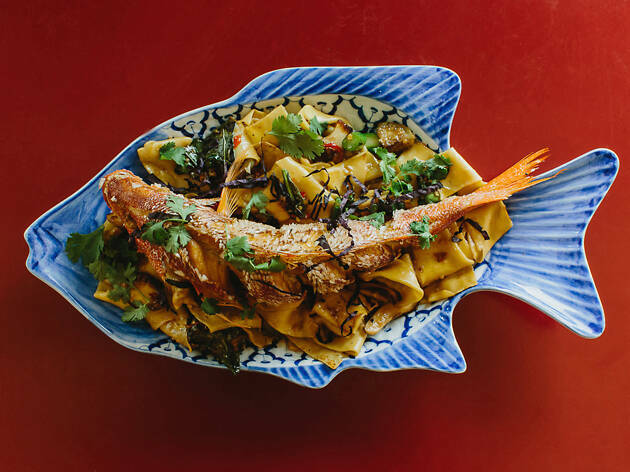 Chef Patrick O'Cain, an Asheville native, whips up visually stunning East Asian dishes like dumplings, ramen, Korean fried chicken and more, in a no-frills former gas station. Lunch features a more mainstream, straight forward menu (check out the dumpling boat, where you pick 20 dumplings of choice) and dinner service takes it to next level. Tuesday’s build your own ramen night is a popular evening for locals. What is it? An Italian eatery with a Southern touch that’s perfect for date night. What is it? This tiny doughnut shop has some of the South’s best doughnuts. Why go? The menu is simple and easy to navigate. Pick from one of four doughnut flavors (including a seasonal option that changes weekly), grab a cup of PennyCup Coffee and wait (im)patiently while they’re fried to order in front of you. 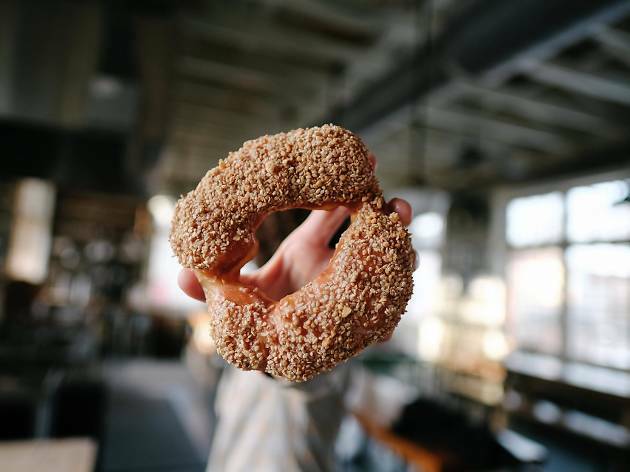 You’ll be pleasantly surprised when the time comes to devour a hand shaped, piping hot treat that eats more like brioche pastry than a basic doughnut. What is it? Get the meat sweats at this funky West Asheville neighborhood butcher shop. Why go? Come for the meat, obviously. The food truck-turned-butcher shop is worth all the hype and for many good reasons. 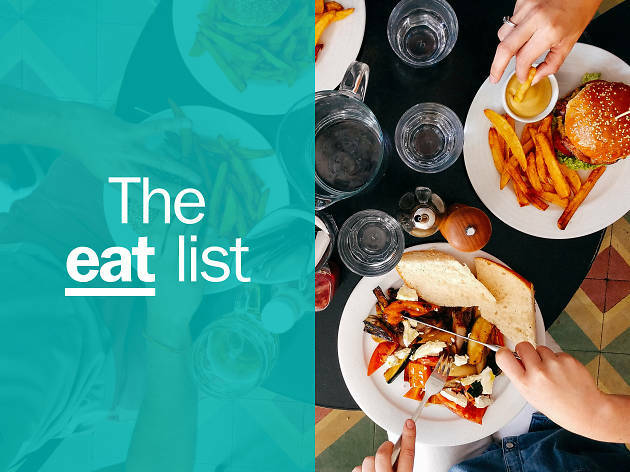 With an emphasis on supporting local businesses and farms, find fresh takes on everything from poutine and classic burgers to sandwiches and fries cooked in tallow fat (and a couple things for vegetarians that won’t disappoint). Monday is Burger & Pint Night and $12 scores you a double cheeseburger, fries and a draft beer. What is it? This smokehouse in the River Arts District offers up finger lickin’ good barbecue and tasty sides. Why go? First off, the River Arts District is all the rage right now. Secondly, you’re in the South, so barbecue is a must. Roll up your sleeves and dive into drool worthy ribs that are smoked slowly over hardwood for hours and doused in either Cheerwine or blueberry chipotle sauce. 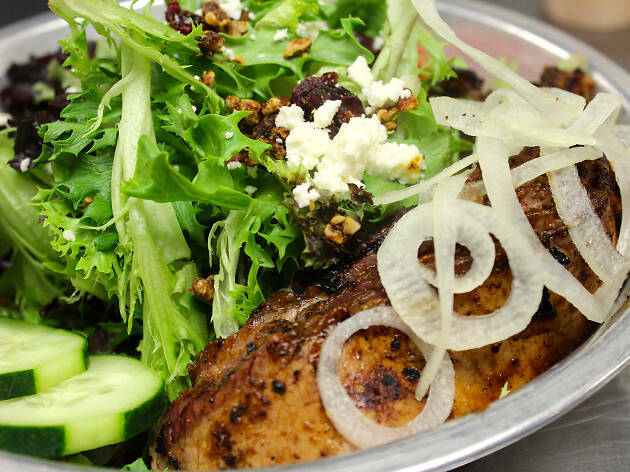 For a lighter intro, dabble into the side plate (pick four) and the “just a taste” meat menu. Bonus: The Wedge at Foundation is just across the way if craft beers are your thing. What is it? This seasonal downtown restaurant helmed by chef Katie Button has food just as gorgeous as the decor. Why go? Calling all stylish interior fans, this Instagram-worthy spot is the place to see and be seen. Chef Katie Button does a phenomenal job of brings a taste of Appalachia to the city. You’ll never look at vegetables the same and you’ll find it hard-pressed not to leave without dessert (the apple butter cheesecake is where it’s at). Pace yourself, as the craft cocktail list is just as tempting as the food. What is it? A no frills, super affordable taqueria with seriously good eats. Why go? 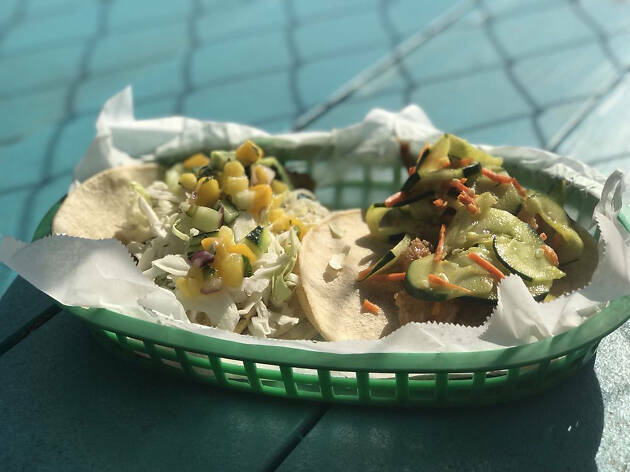 It’s cheap, plus the tacos are innovative and there are several locations throughout the city due to popular demand. Fillings are quirky but appetizing and everything is a la carte, so bring a crew of friends and order multiple items to taste it all—and obviously wash it down with a local beer or two. From downtown Asheville, the Blue Ridge Mountains are visible every which way, giving the area a mountain vibe but with that glint of Southern charm shining through. Refined yet accessible and unpretentious is the vibe of both the city and its biggest attractions, from architecture to fusion food.